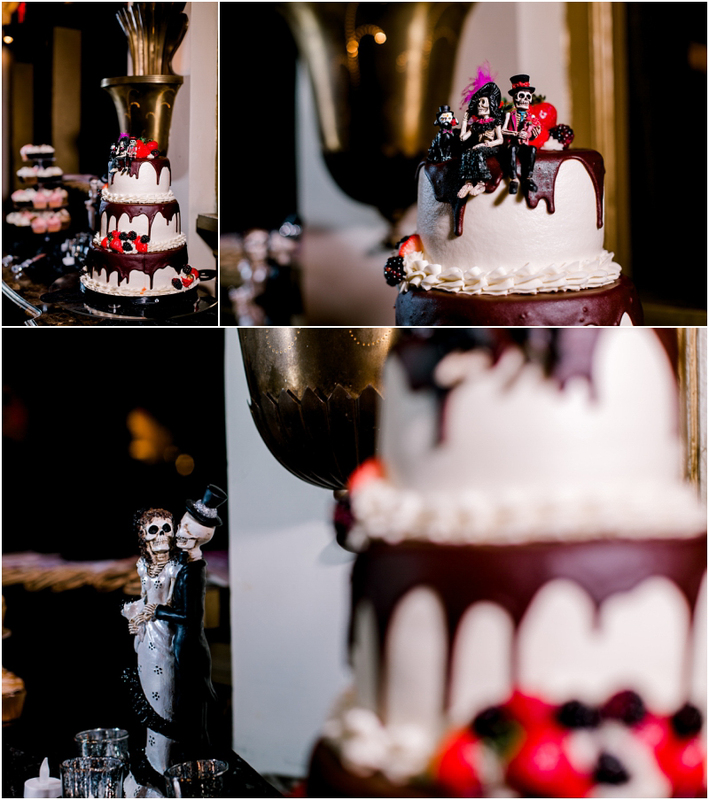 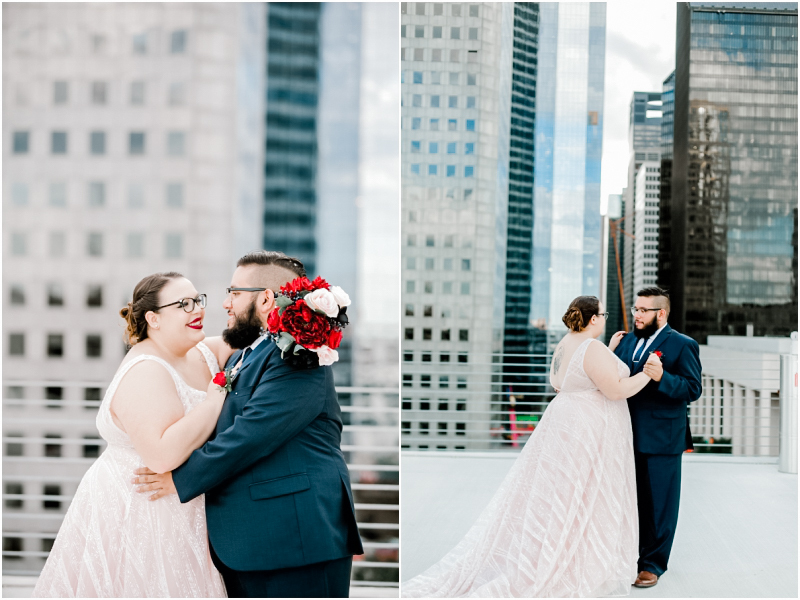 Kirsten and David are not your cookie-cutter couple- and I love that about them! 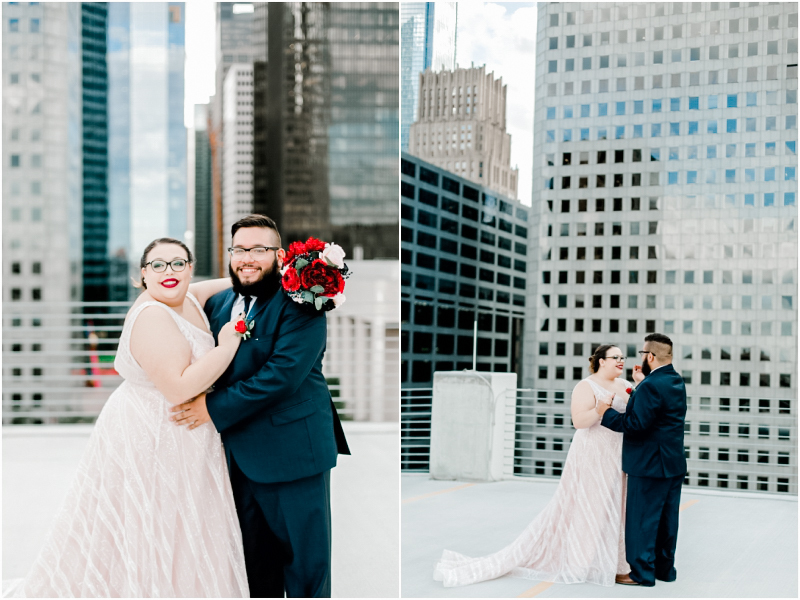 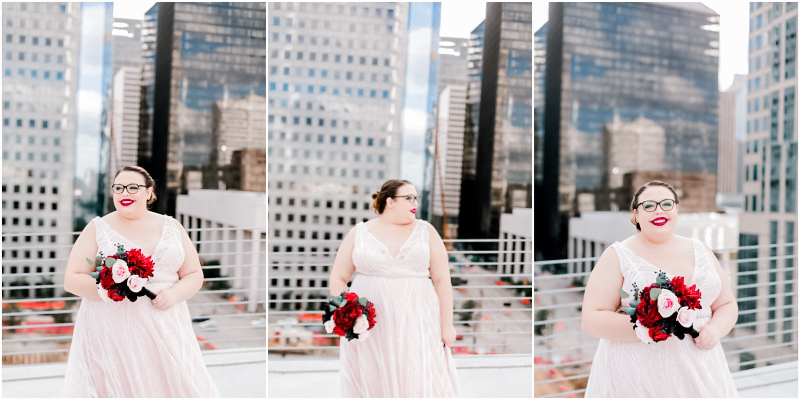 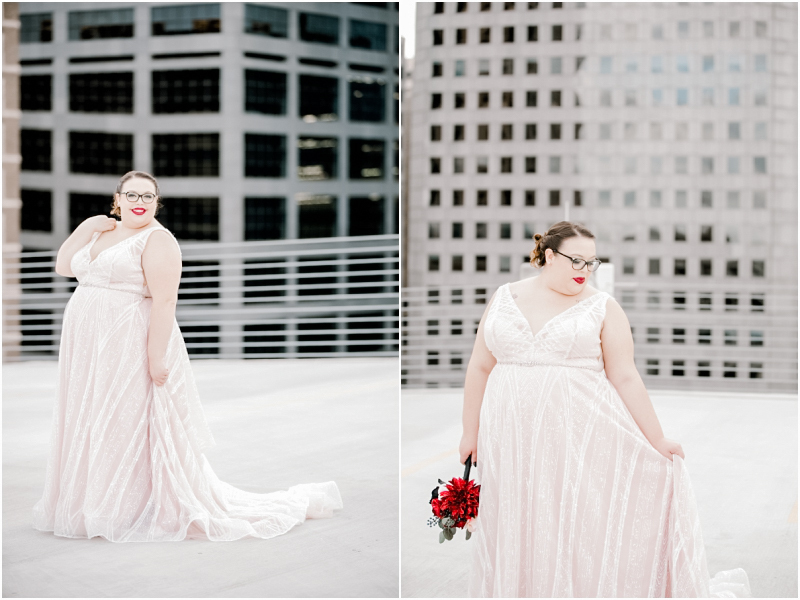 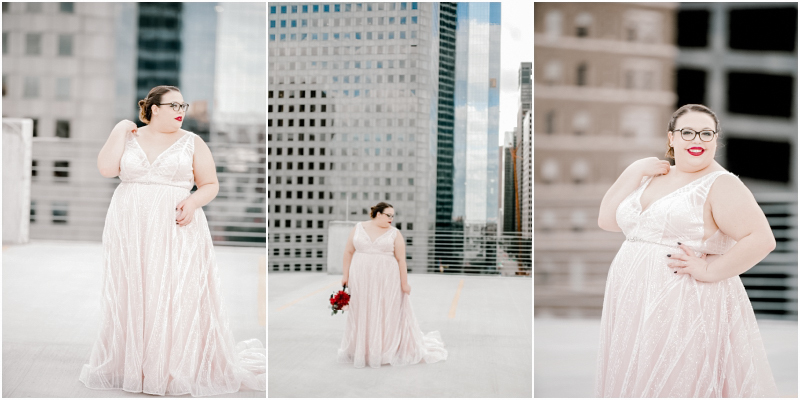 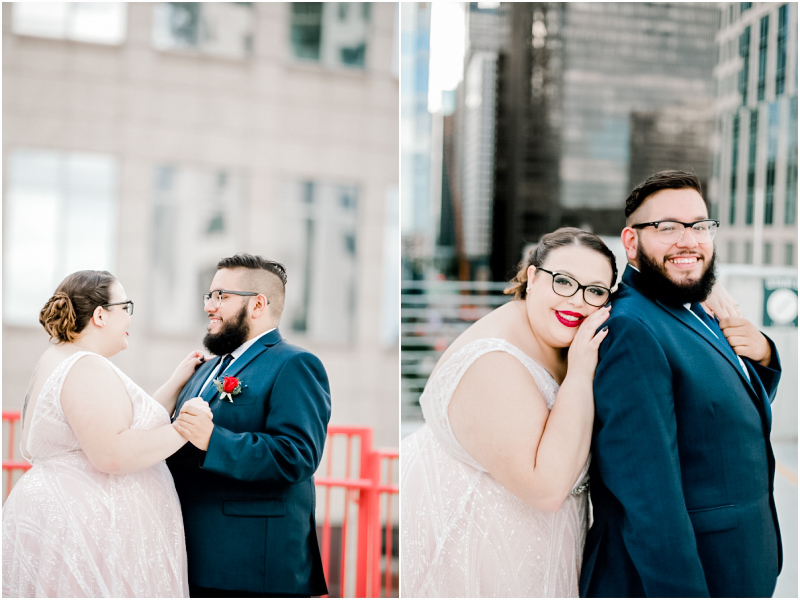 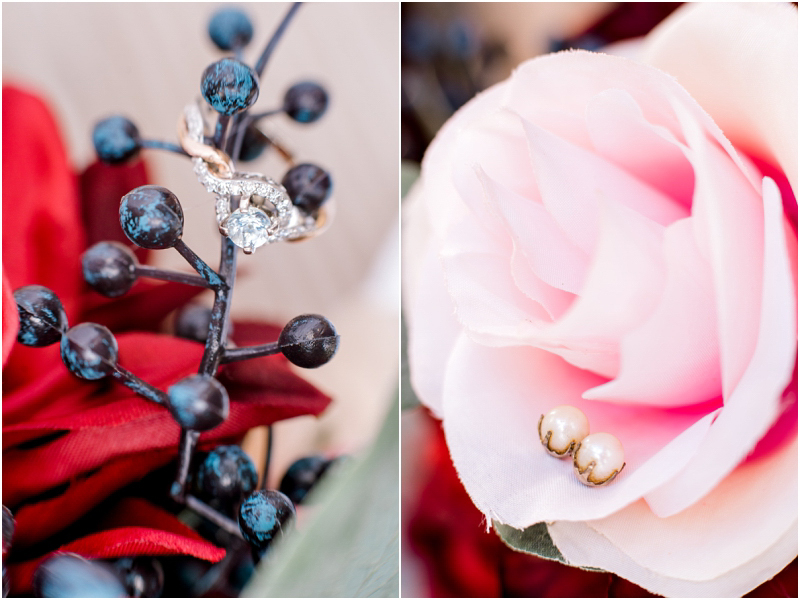 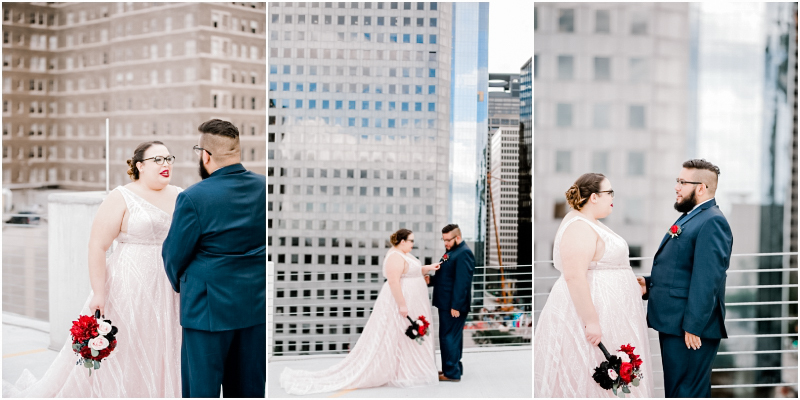 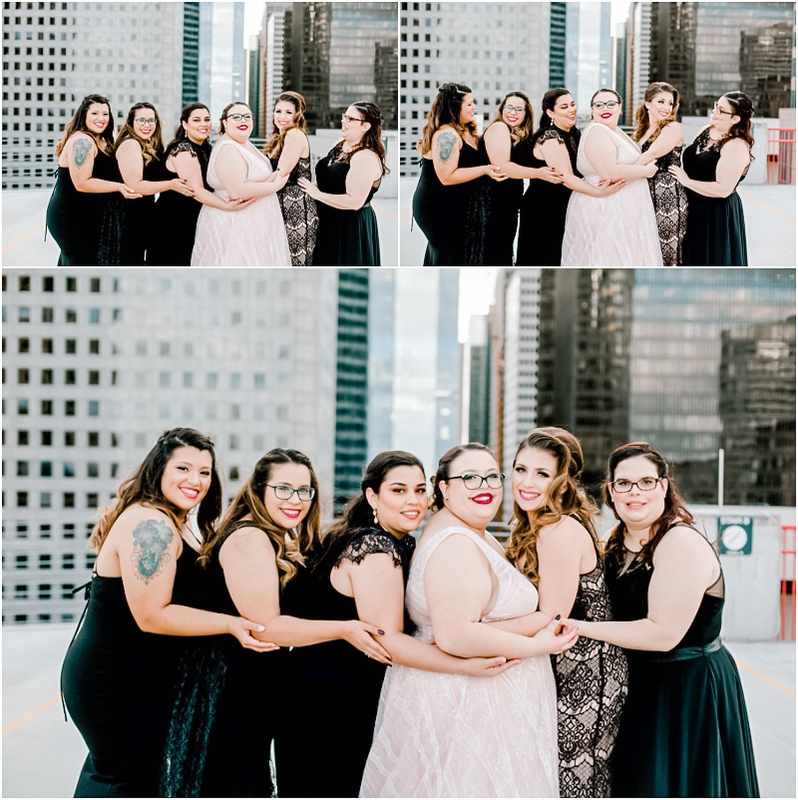 During their engagement session they introduced me to some of Houston’s most unique places, like Smither Park and graffiti walls, and I got to know them a little. 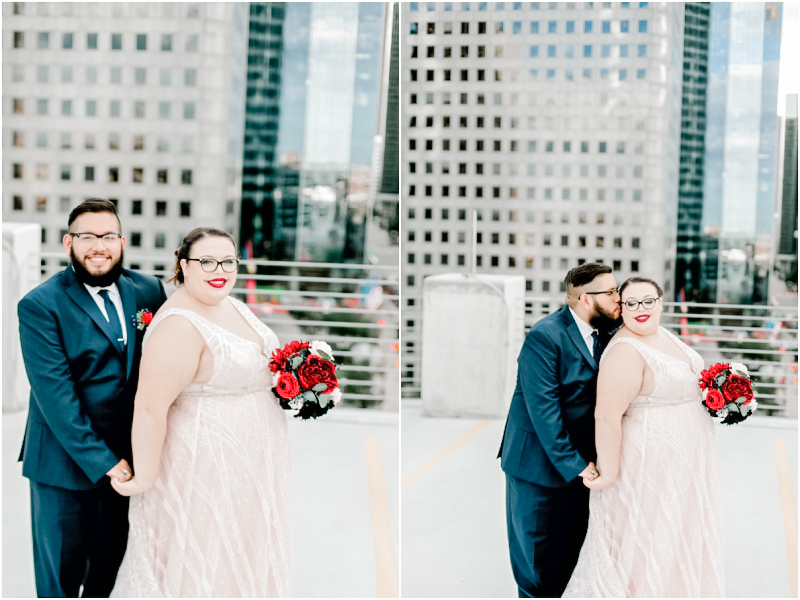 They are such a sweet couple. 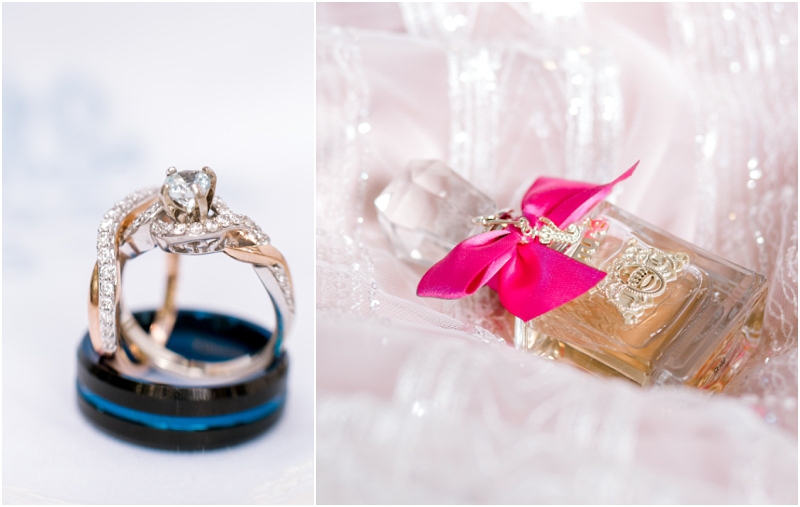 Sweet, but not boring. 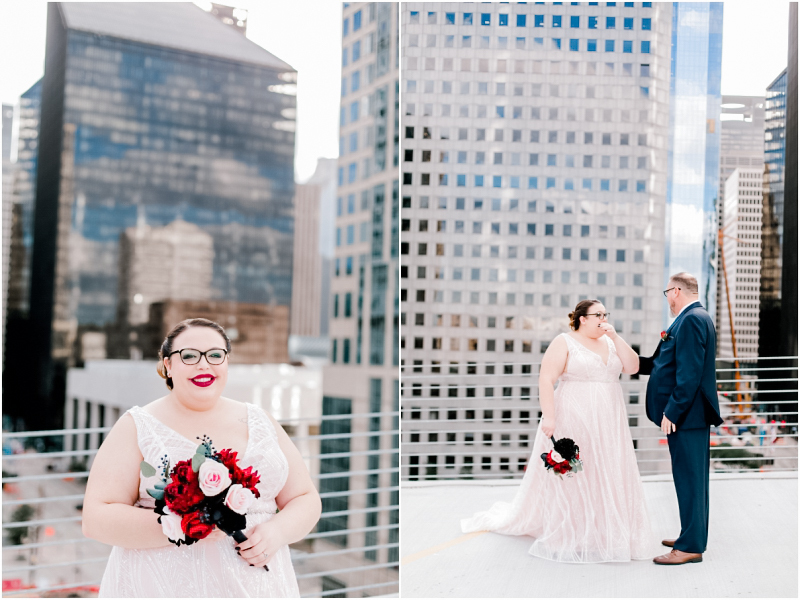 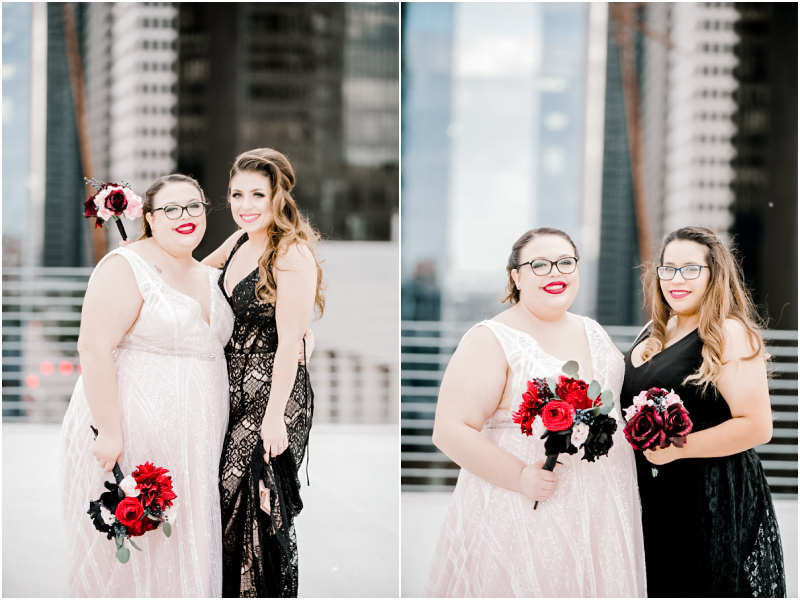 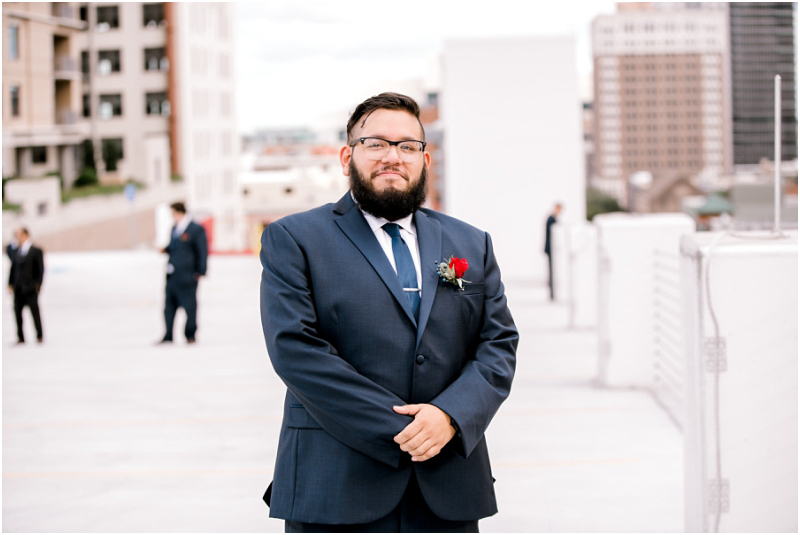 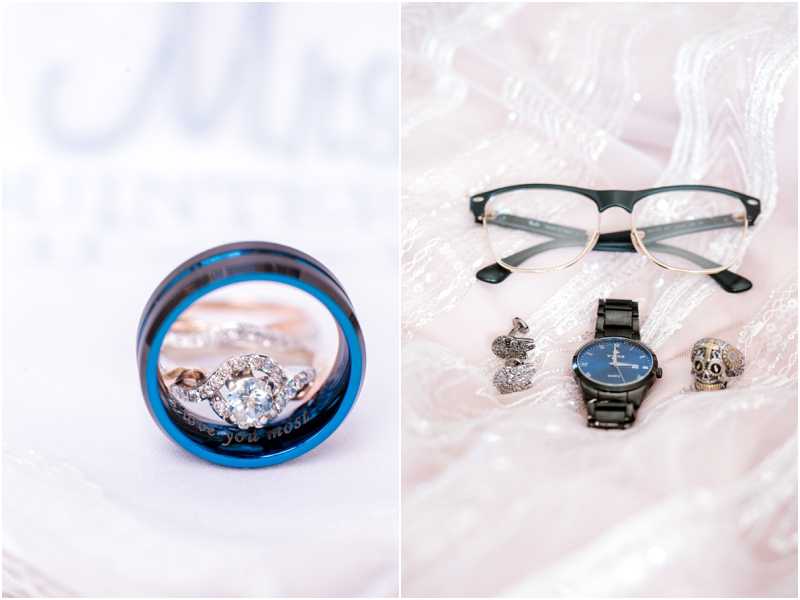 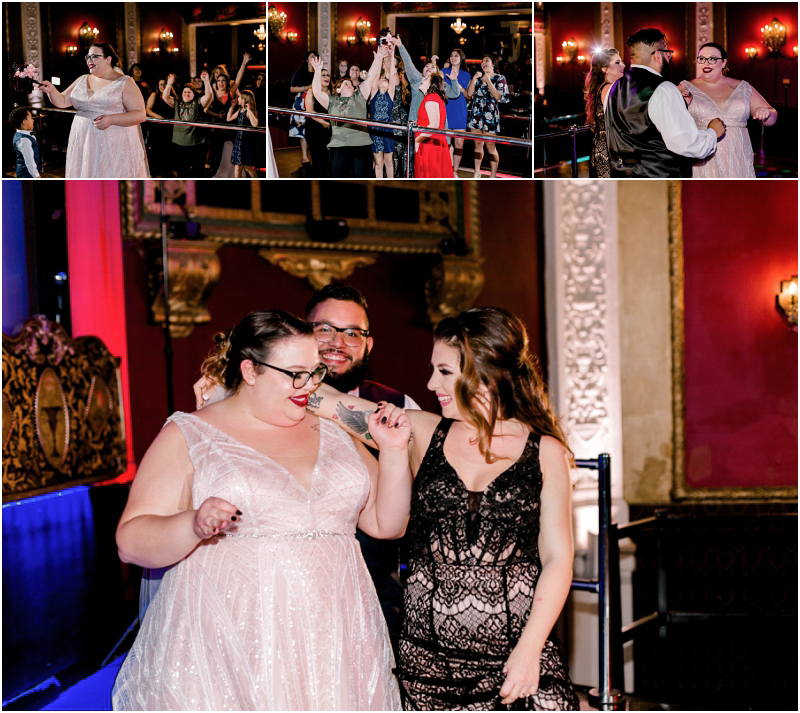 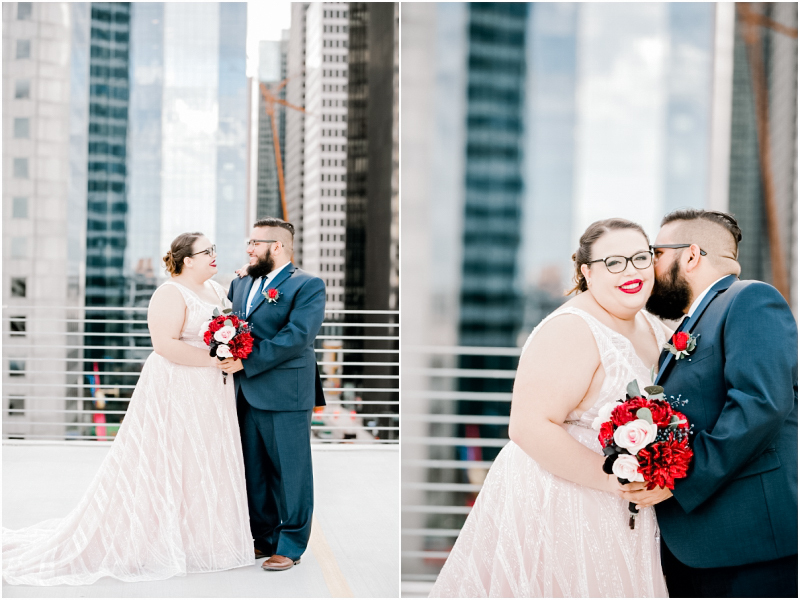 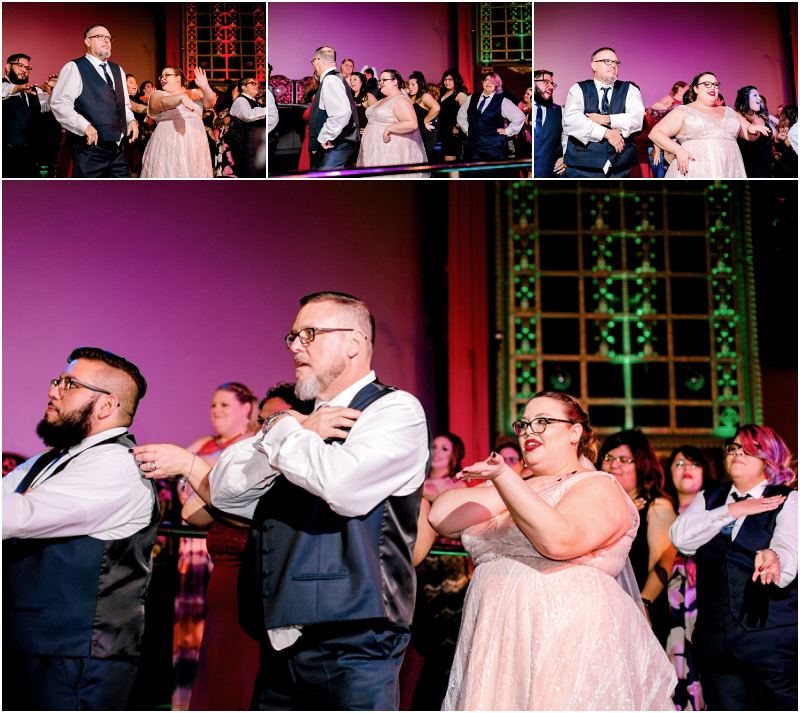 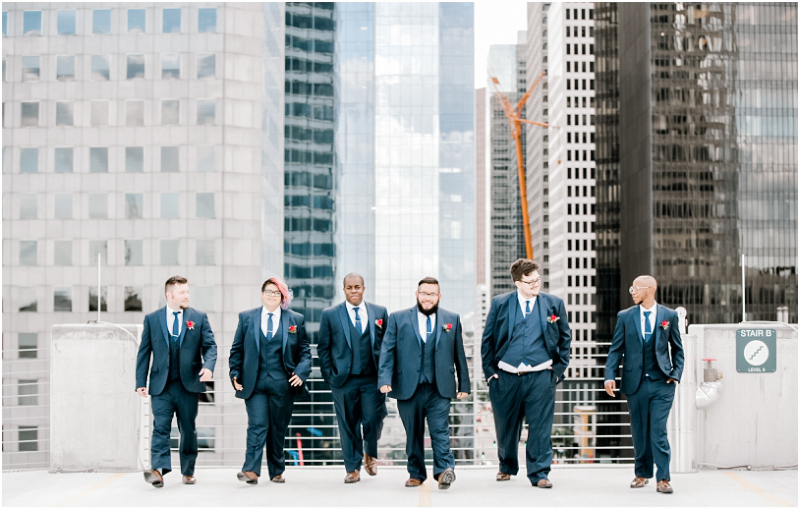 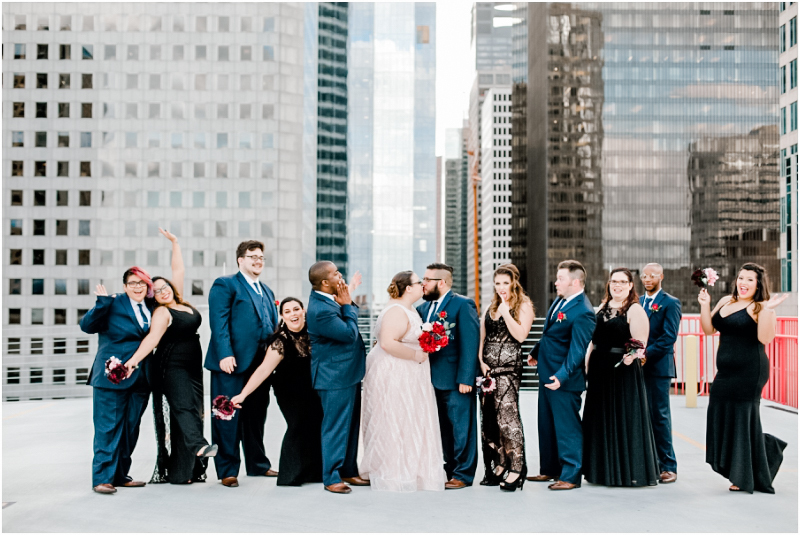 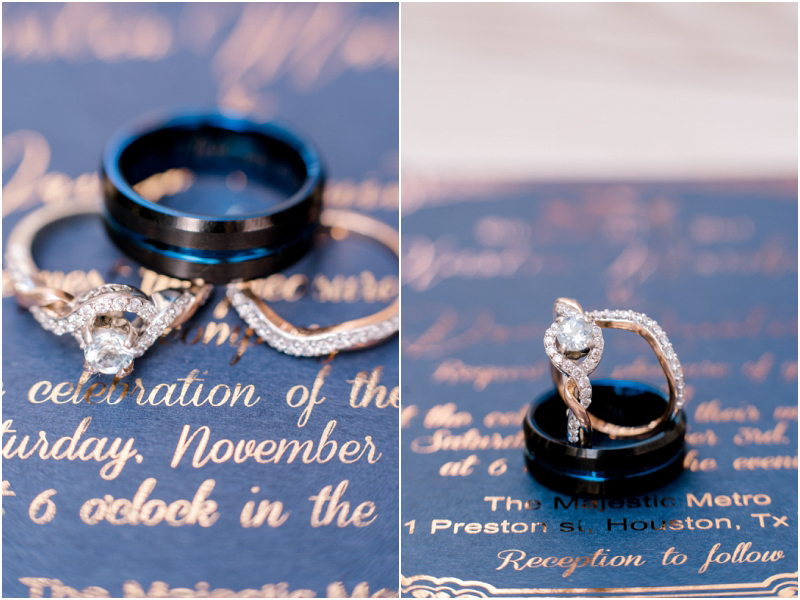 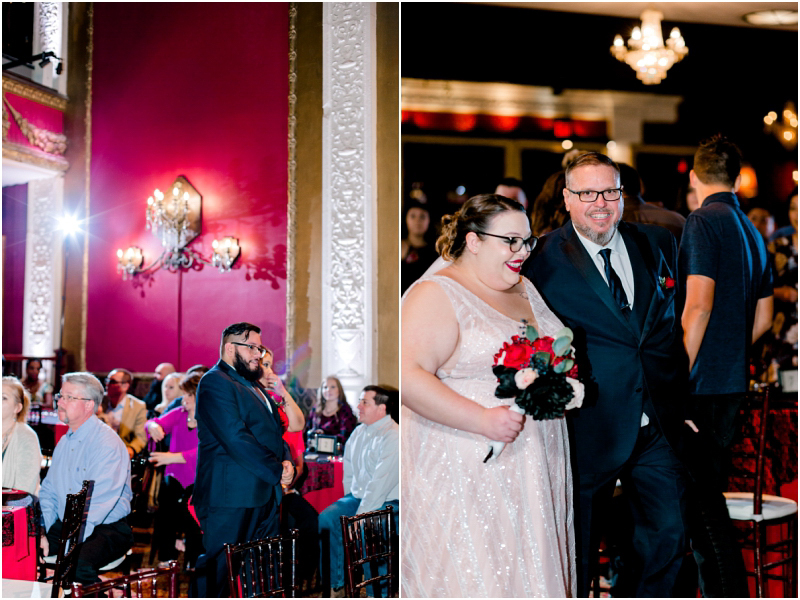 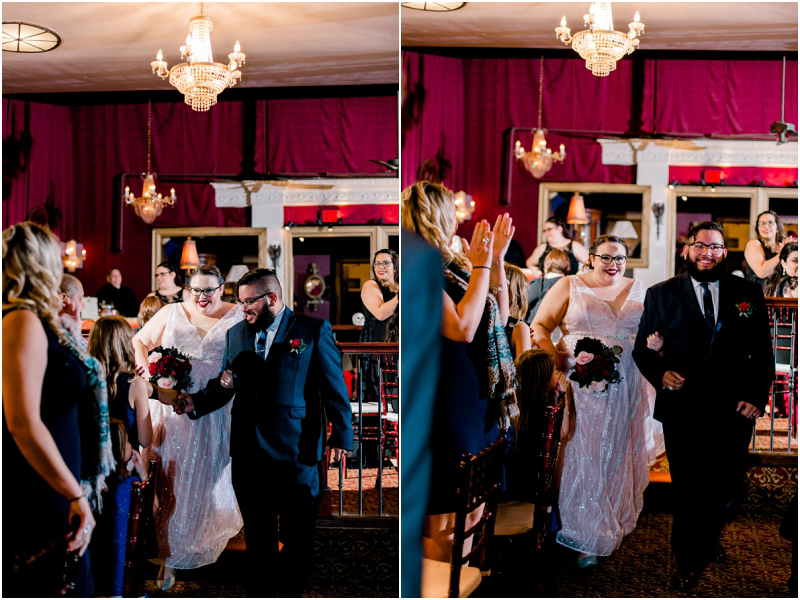 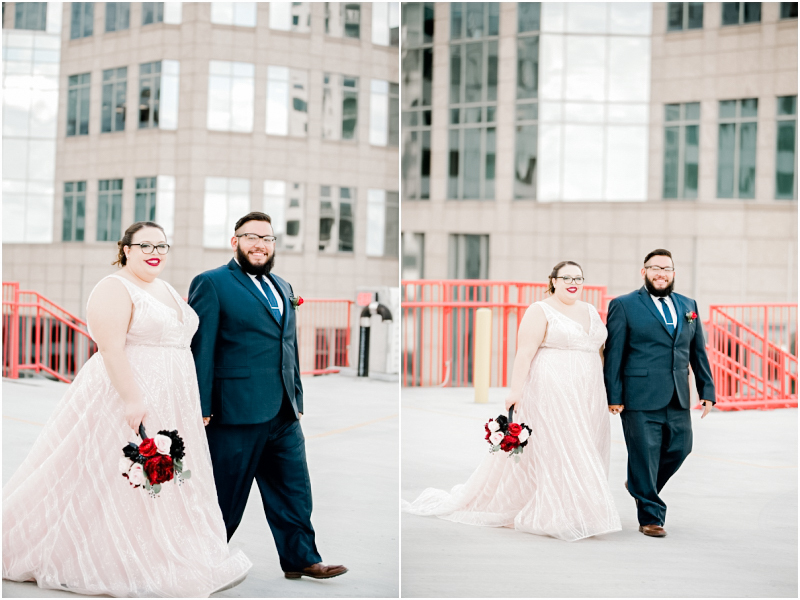 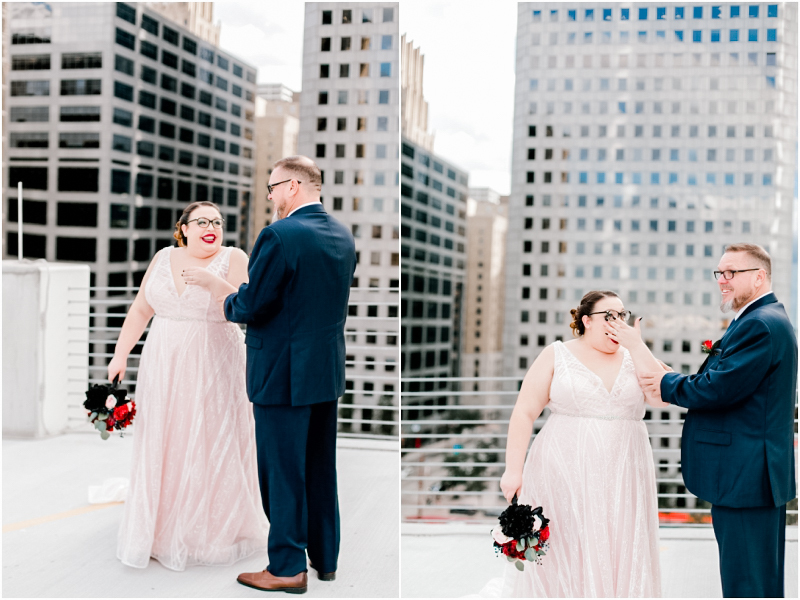 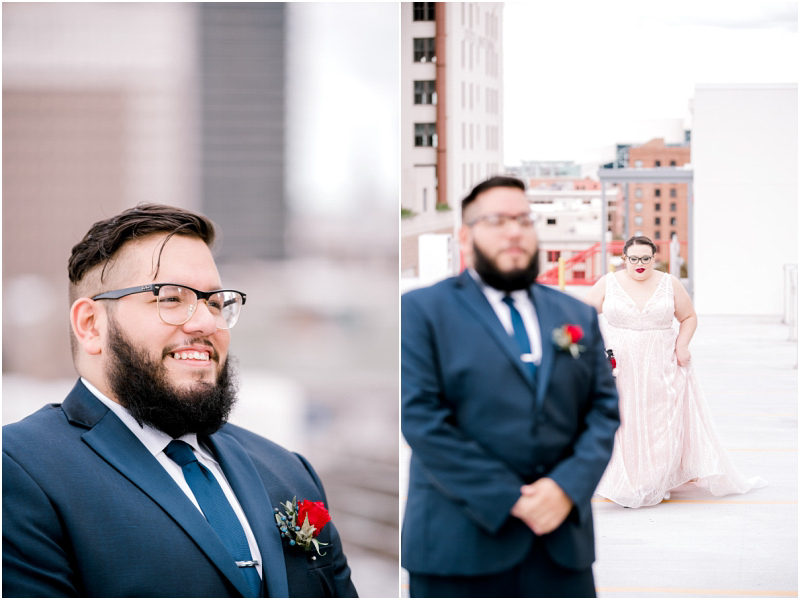 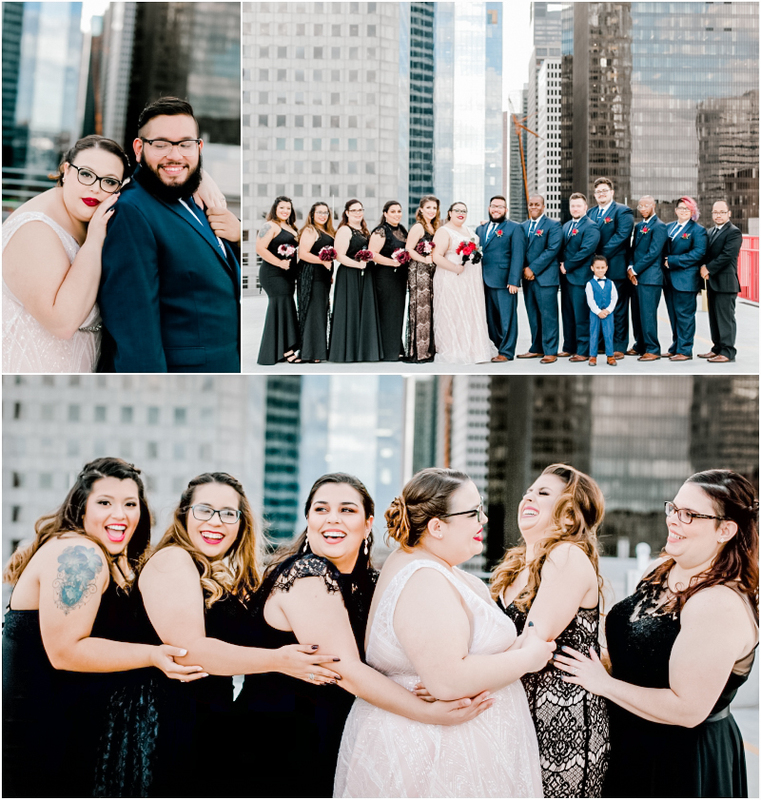 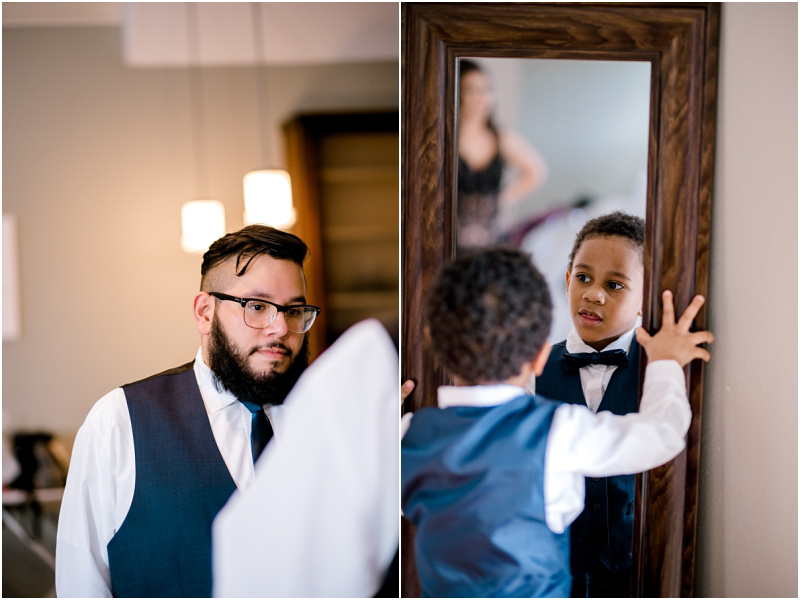 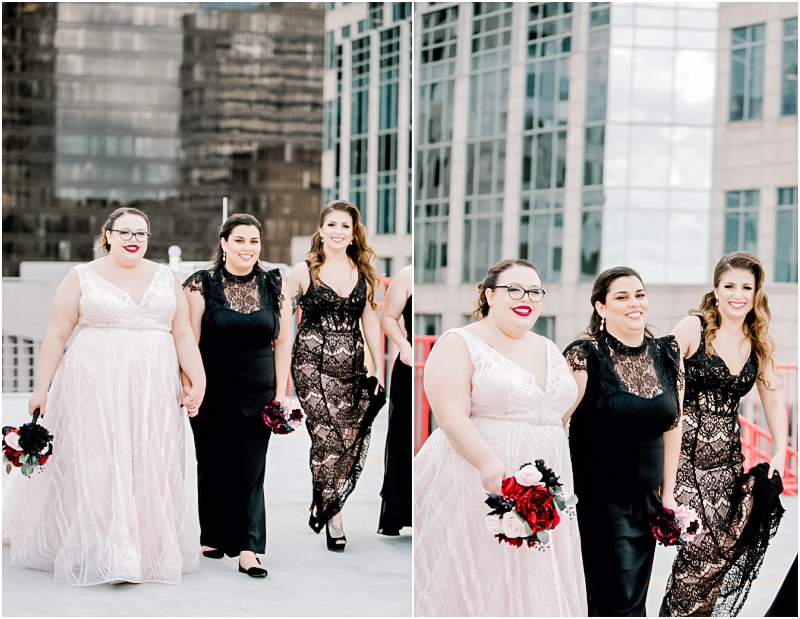 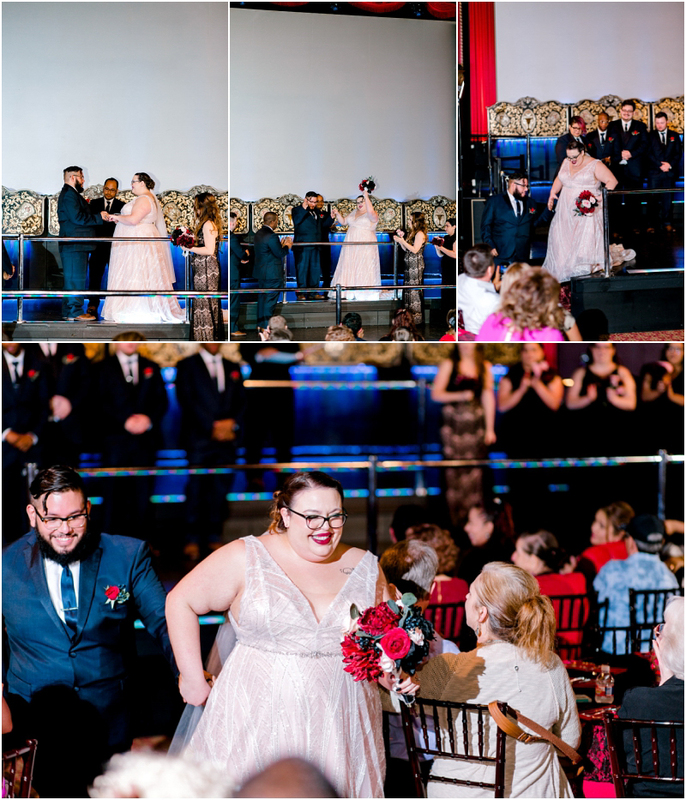 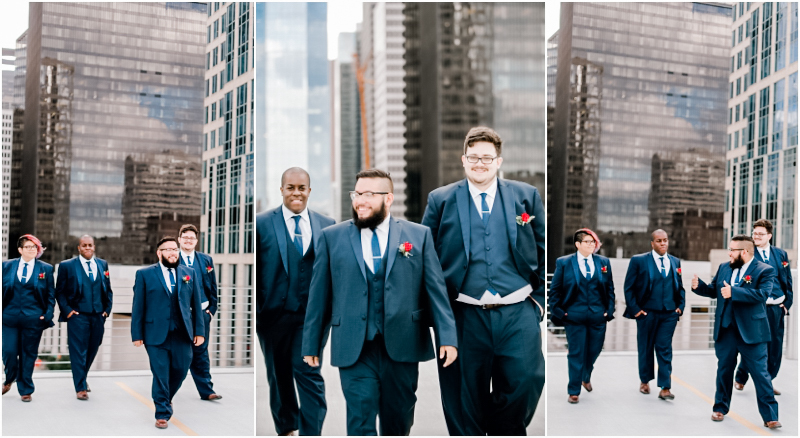 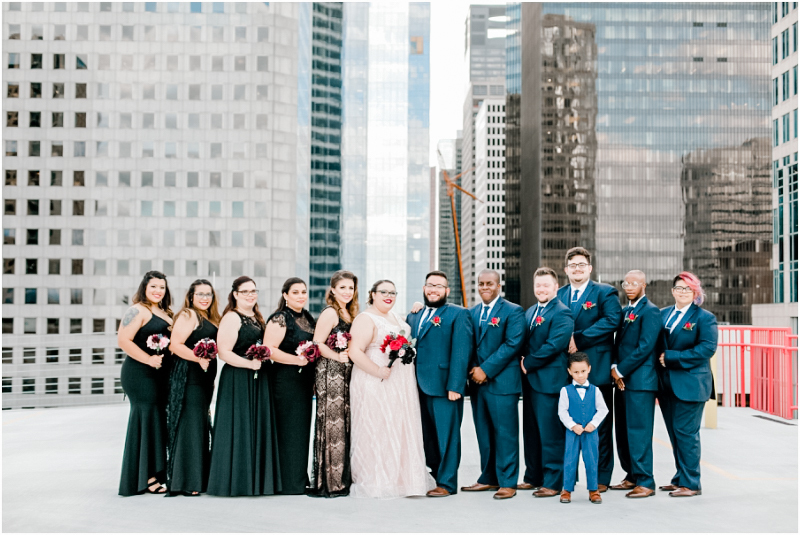 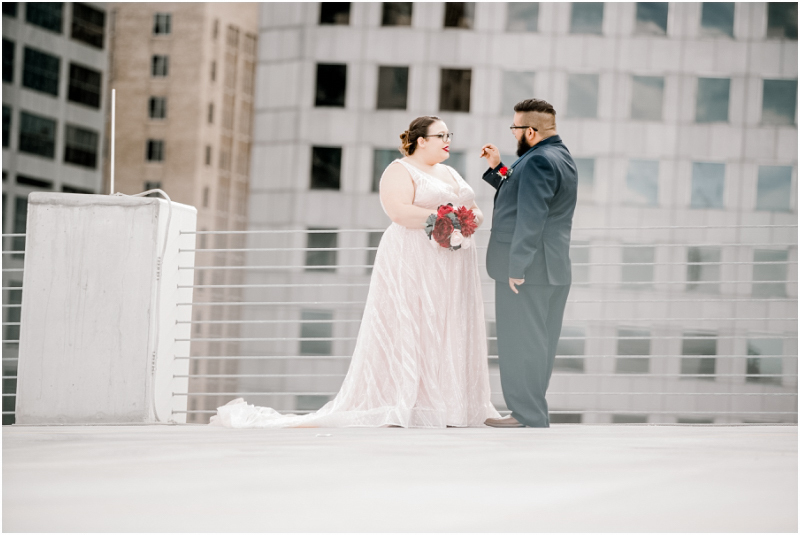 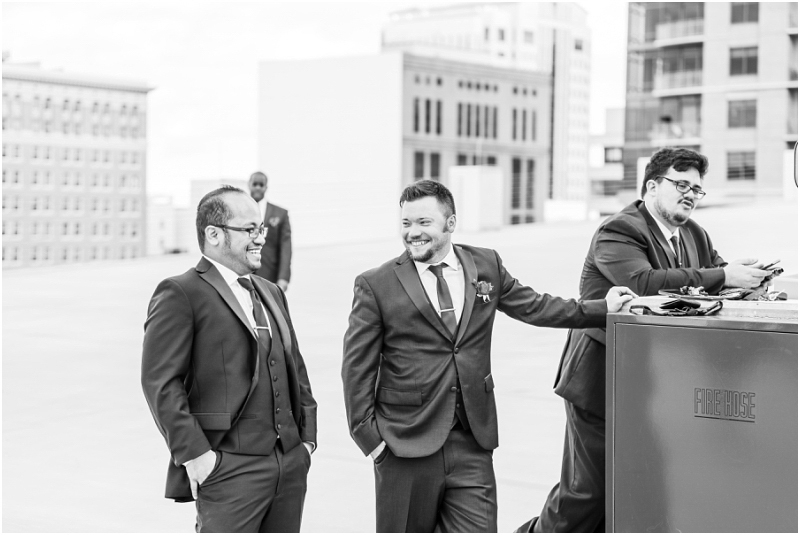 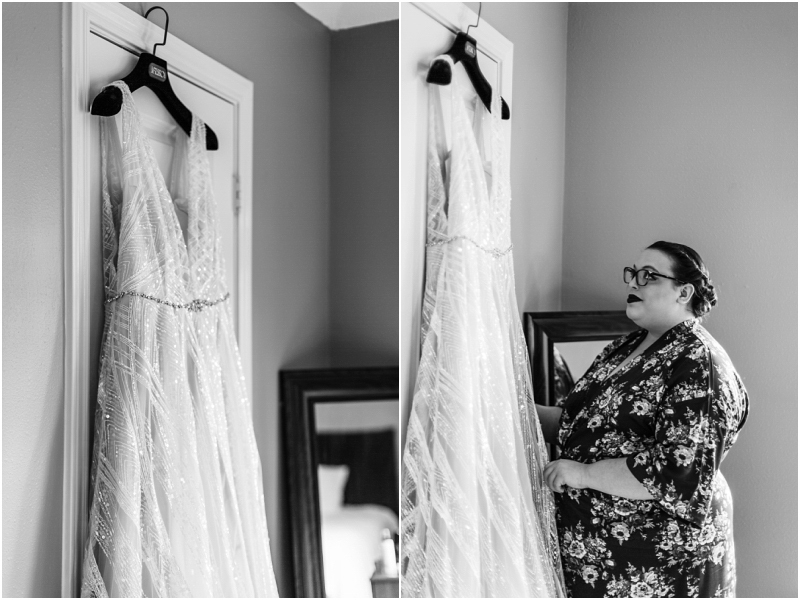 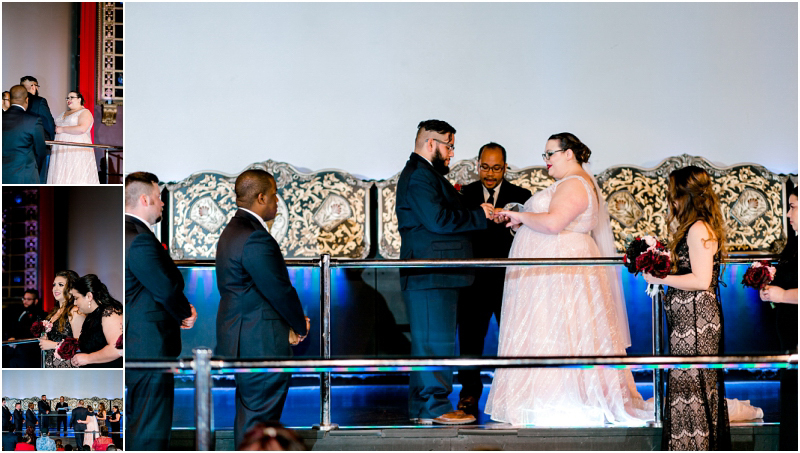 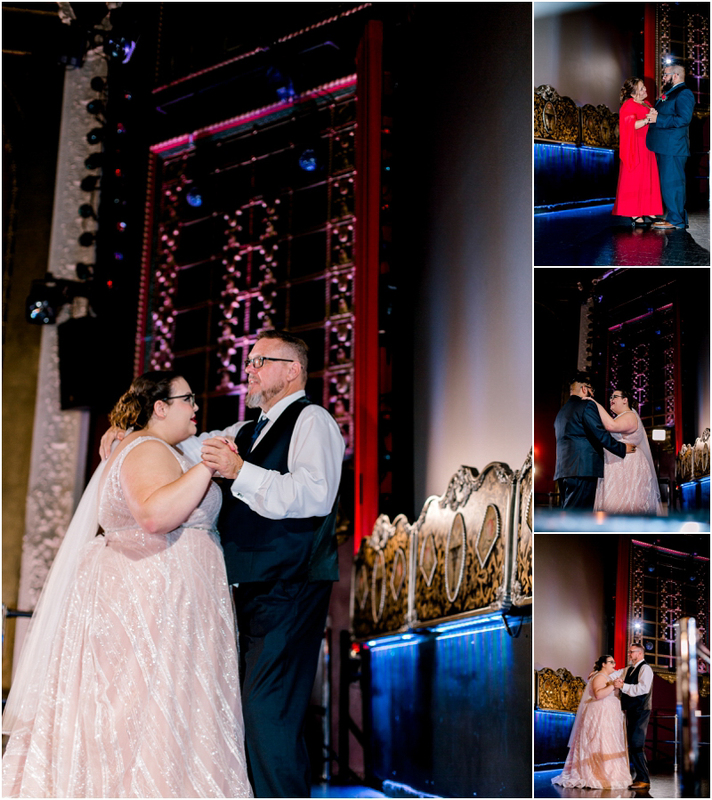 Their wedding was held at the Majestic Metro in the theater district and we found the PERFECT spot for their first look and wedding party photos. 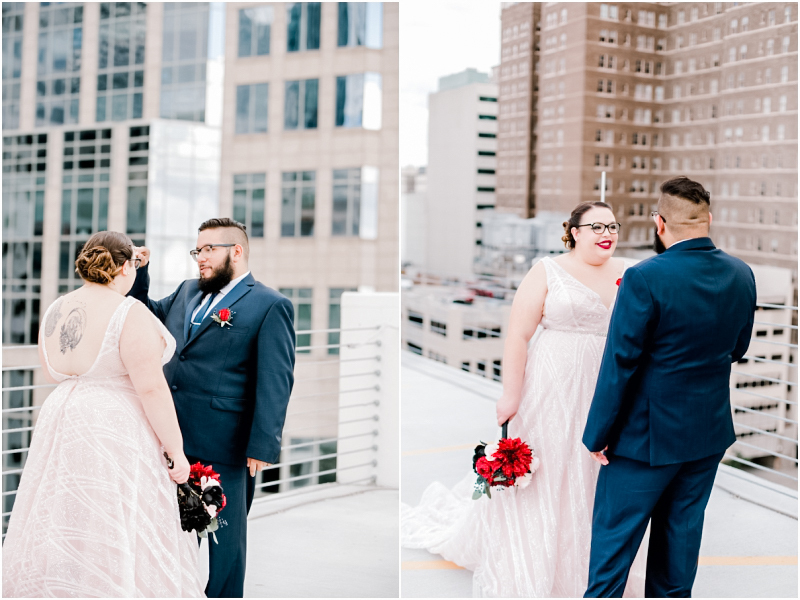 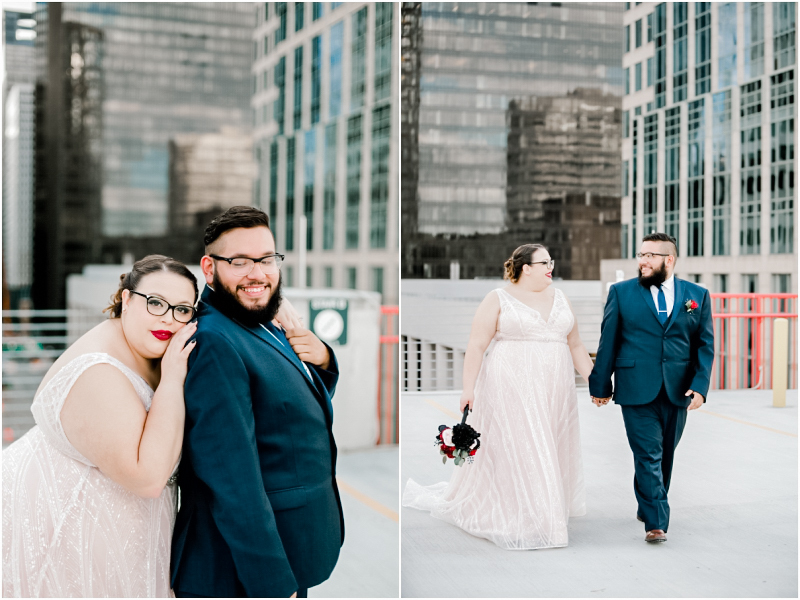 I just love the parking deck with the buildings in the background, the colors worked so well with their dresses and suits. 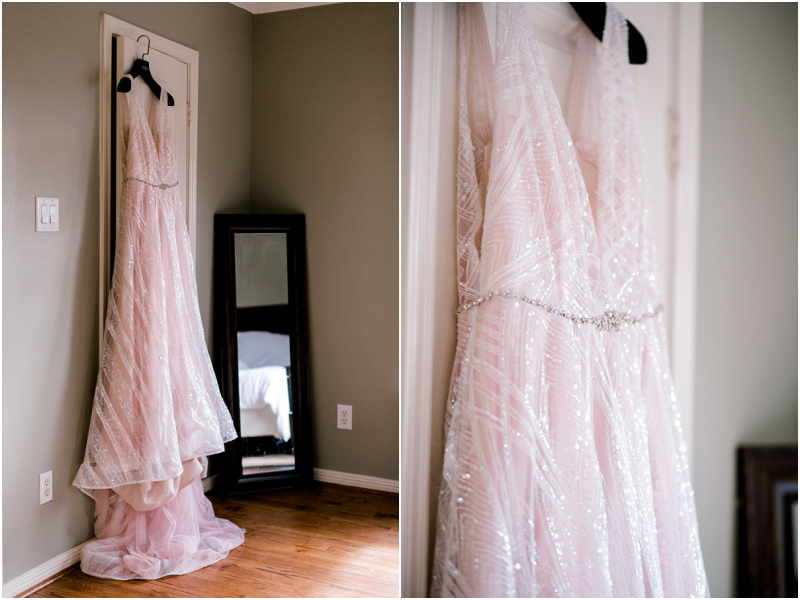 Kirsten was glowing in her blush colored tulle gown- and ya’ll know I love me some tulle- so I was gaga over her dress! 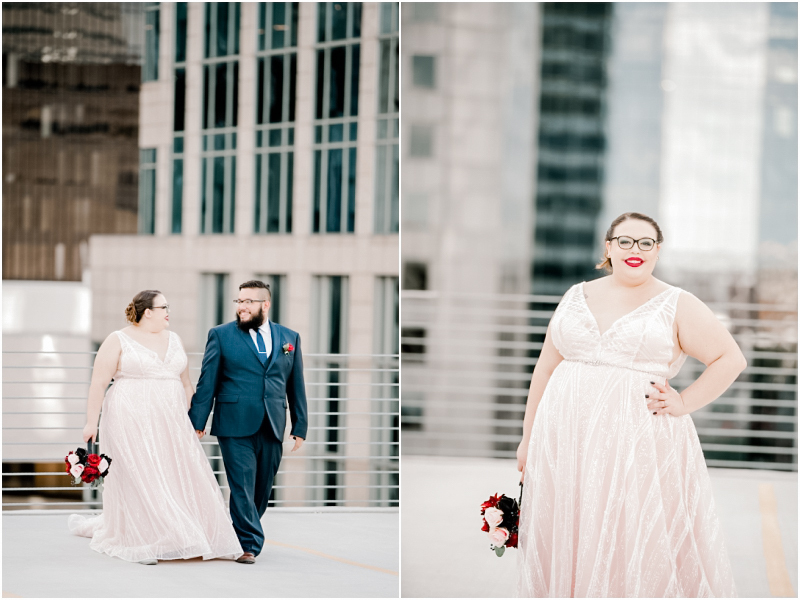 I really enjoyed getting to know these two and I’m so happy for them!